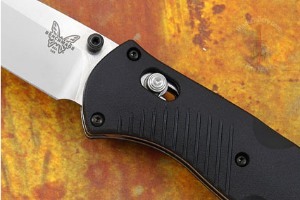 Description: For the first time ever, Benchmade’s best selling AXIS lock, the Barrage, gets a boost. 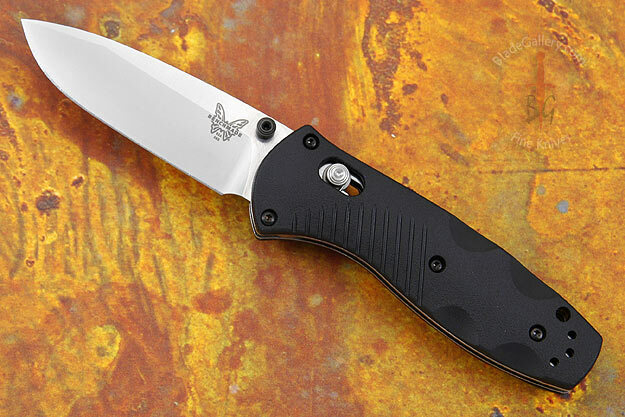 The 154CM steel, originally developed for heavy-duty industrial use, gives the blade superior corrosion resistance, toughness, and excellent edge retention. 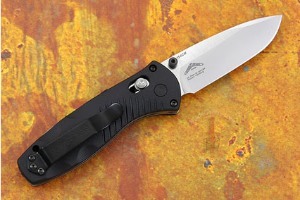 This spring assisted model combines speed and strength in one complete package, with an integrated safety that allows the knife to be locked open or closed. The safety can also be operated with a single hand. The lightweight handle is a perfect blend of ergonomics and style and textured to provide a firm grip. The grippiness is enhanced with finger indents which position the hand perfectly. 0.43701171875 0.28076171875 437.01171875 280.76171875 Trailer Completed.